In one day I must have dressed and undressed at least three times, but my wardrobe pretty much stayed the same with long underwear and fleece as the basic theme. 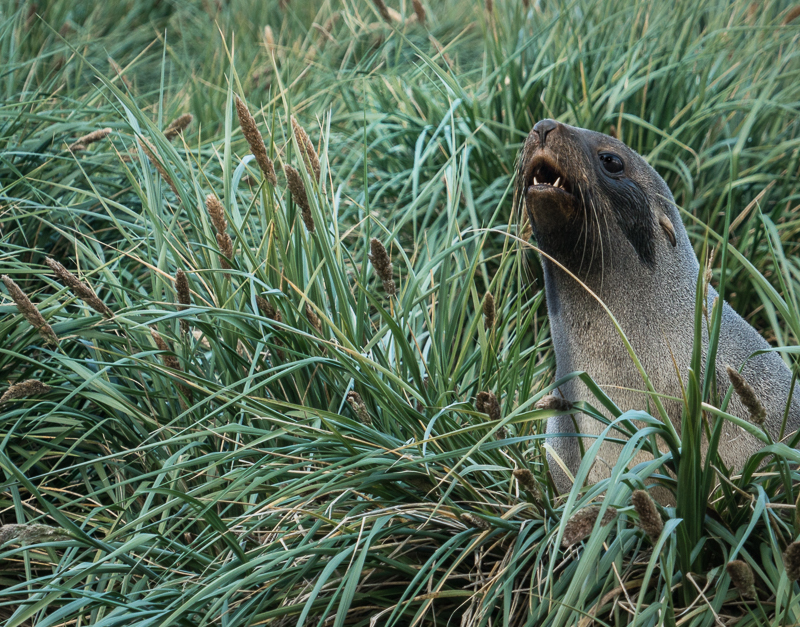 Thankfully, penguins, seals and albatross weren’t interested in our clothes, although I wondered what they thought when these strange-looking dudes wearing bright yellow jackets walked on their turf. They didn’t appear afraid or nervous, but many looked at us curiously and some even pecked at our boots. How cold was it, you ask? Surprisingly, the temperature never got much below 30 degrees and maybe warmed up to 40 by mid-day, but no one ever complained since we were dressed in so many warm layers, plus we had relatively little wind on South Georgia. A few times I used boot warmers when walking in the snow, but often I didn’t wear gloves when taking photos. 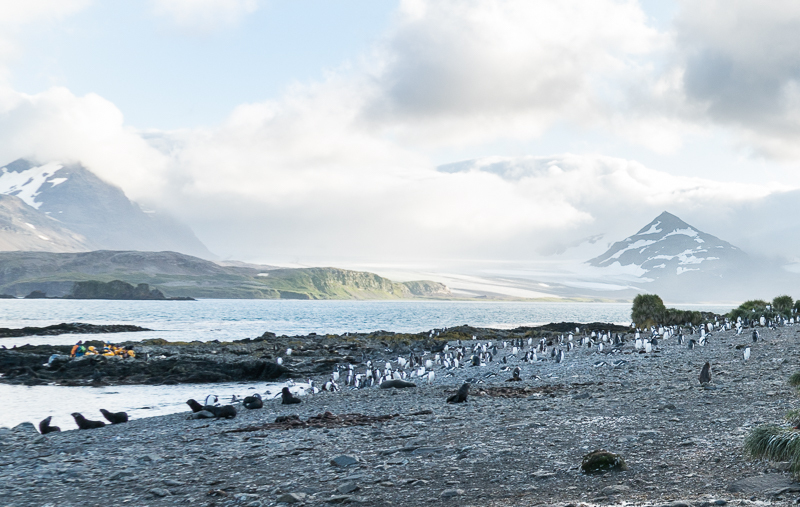 When we landed on Prion Island, known as the breeding and nesting home to many wandering albatross, we were greeted by a group of smaller penguins, called gentoo, and a number of lazy seals, who were more interested in bickering with each other than noticing us. 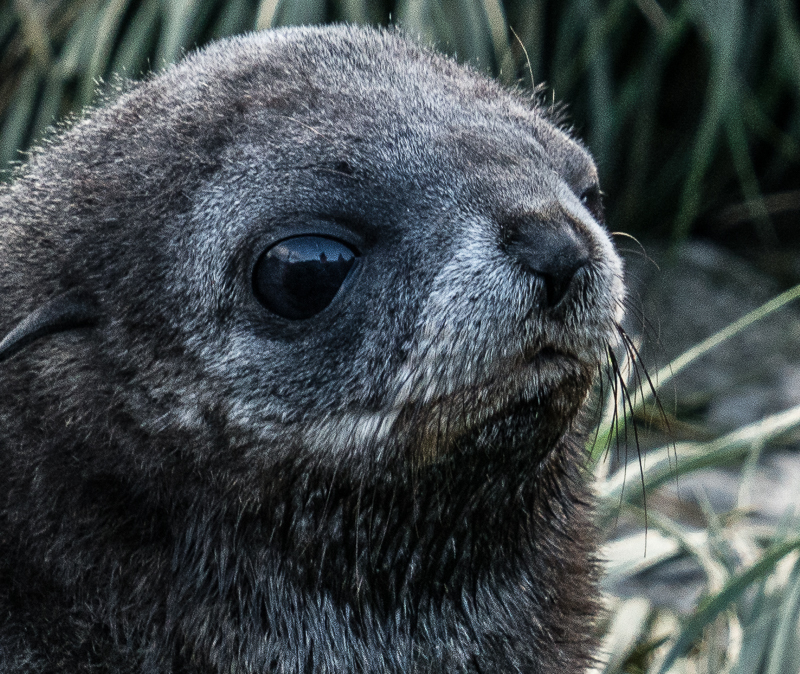 Our zodiac group lucked out and had Noah Strycker as our helmsman and birding guide. At age 30 Noah has packed in more birding adventures than most people do in a life time, setting an all time record for being the first person to see more than 6000 species of birds in a single calendar year (2015). I have included below a five minute YouTube video of Noah’s around-the-world one-year birding trip which you will definitely enjoy. Although I’m not a birder, I can definitely see the appeal, but I’ve been told by birding friends that I should stick to riding my bike. Pam, you don’t have the patience for birds and besides you talk too much. My feelings weren’t hurt because I know my patience is limited, and my reputation for talking seems to follow me wherever I go, but here on Prion Island it seemed like a different story. 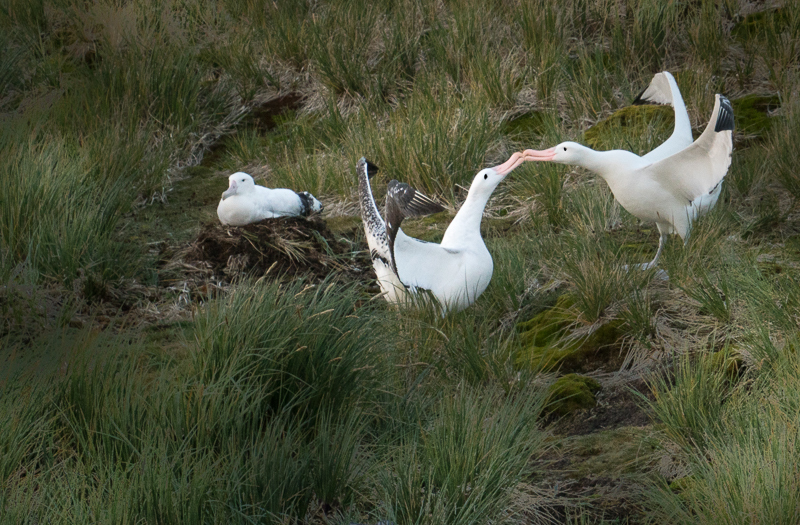 Searching for birds did not require patience because they were everywhere, and we were all talking at the same time, asking Noah tons of questions about the mating behaviors of the albatross. 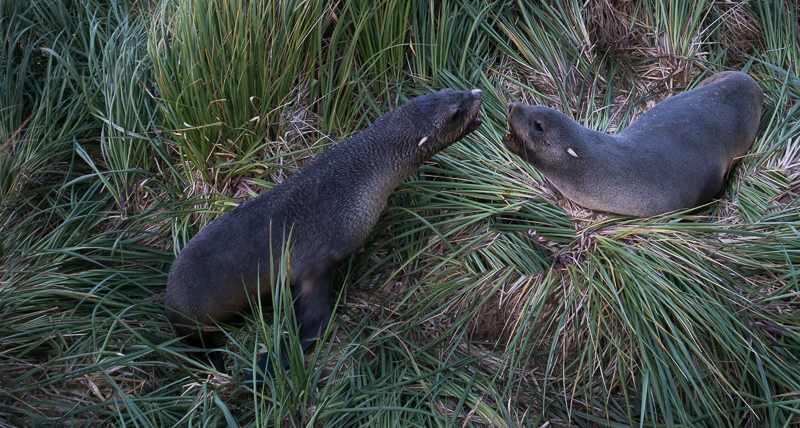 “They mate for life,” Noah told us. 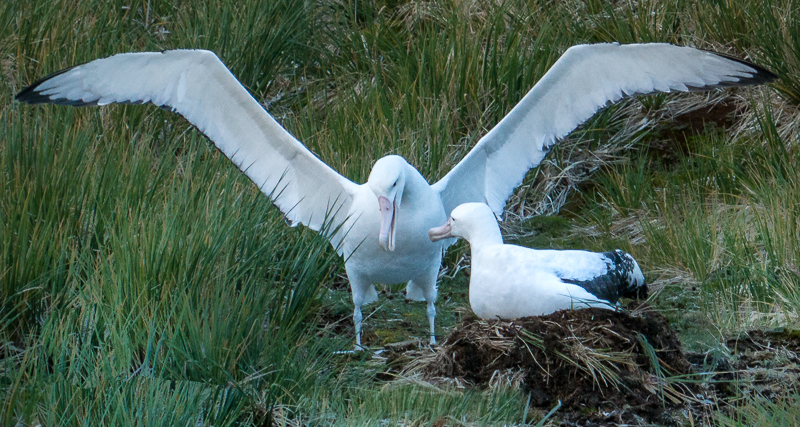 “The courtship ritual begins when the male spreads his huge wings and dances about trying to get the attention of the female.” I looked over at the female who sat placidly on her nest looking ever so bored and totally unimpressed while this male albatross used all his energy on very weak legs to impress her by madly flapping his wings. 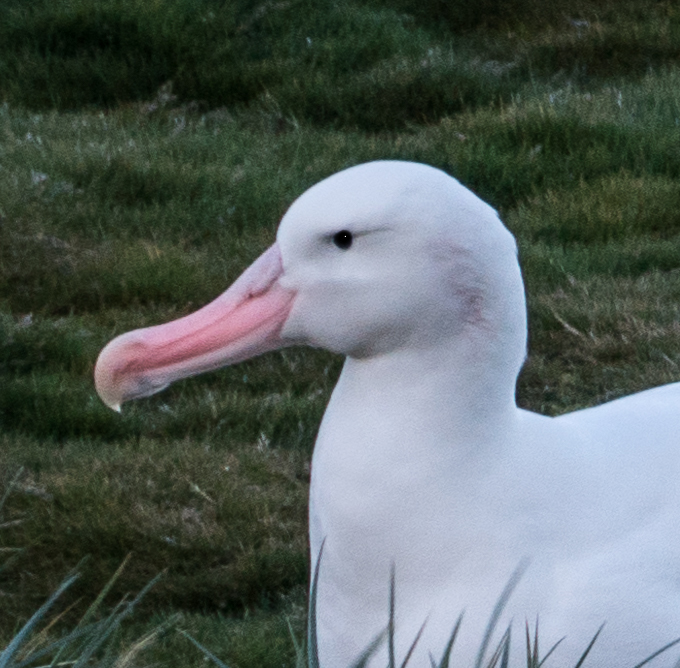 The wandering albatross returns to the same nesting place each year and the female lays only one egg per year, but the first year of life is tough and 80-90% die. 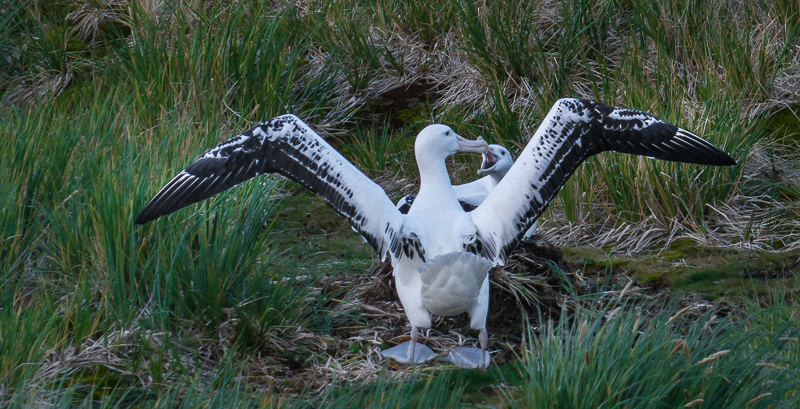 The wandering albatross have the largest wingspan of any living bird, ranging from eight to twelve feet. 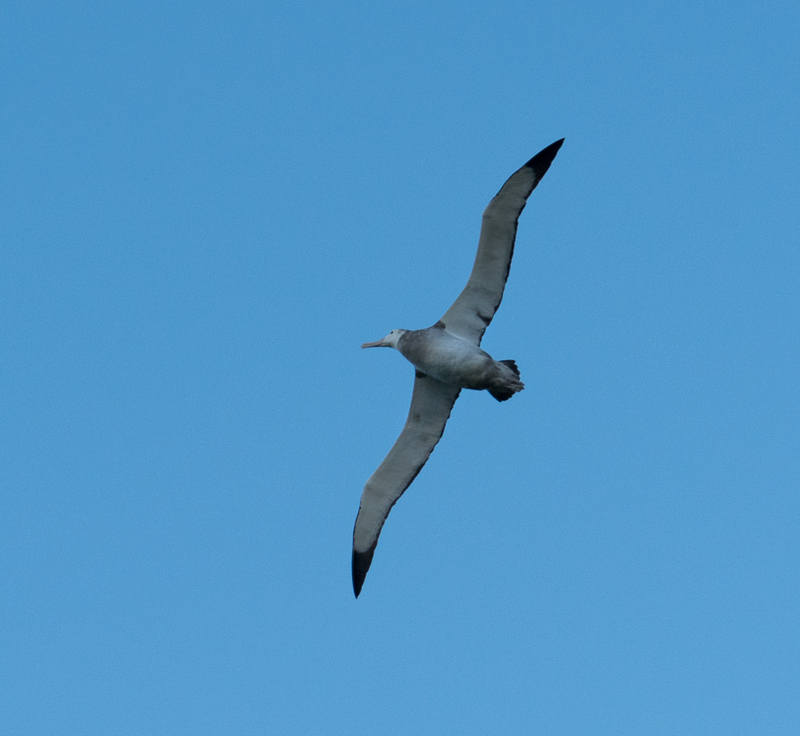 They can glide up to forty miles per hour and because of their wingspan, an albatross can remain in the air for several hours without flapping its wings. 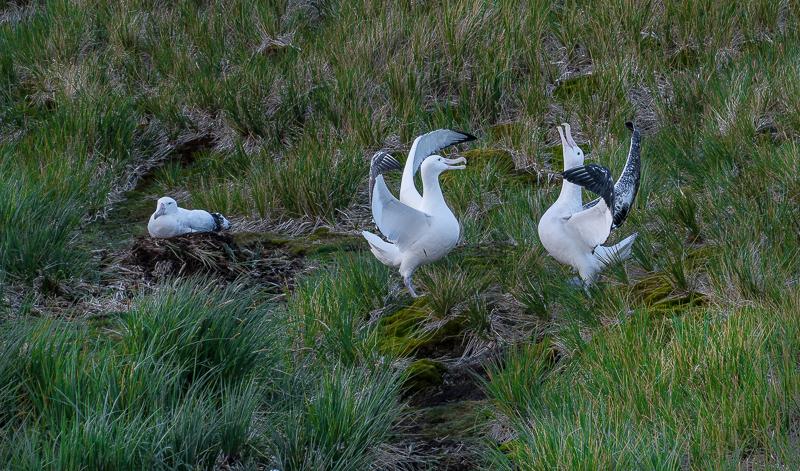 In fact, these birds spend most of their life in flight, landing only to breed and feed. 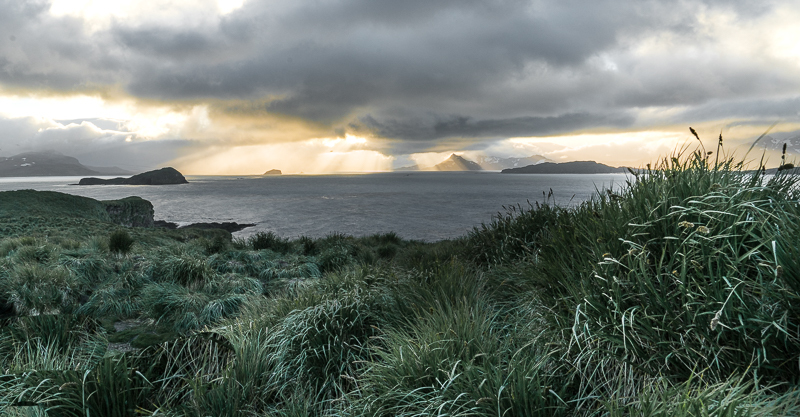 Scientists have attached GPS devices to some wandering albatross and have tracked them as far north as the coast of Brazil, before returning to Prion Island to feed their young by regurgitating the food collected during their wanderings. 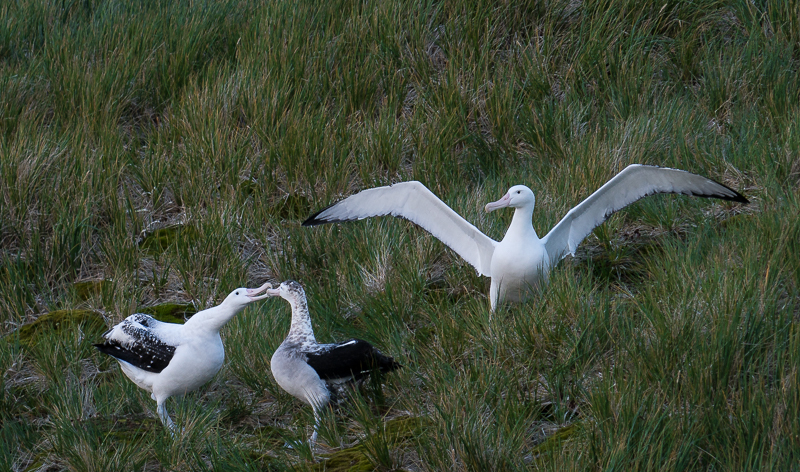 As members of a sea bird family called tubenoses, the tubes on their bill help remove salt from their system. them fly, perform their mating rituals, and photographing them at their very best.